Gretna - a small community with great expectations and community pride. Gretna is nationally known as the "Hot Spot" not only for its warmth but also for the community involvement. Gretna is located on the Manitoba Provincial Highway #30 on the Canada-United States border and is the southernmost community of the Pembina Valley Triangle. 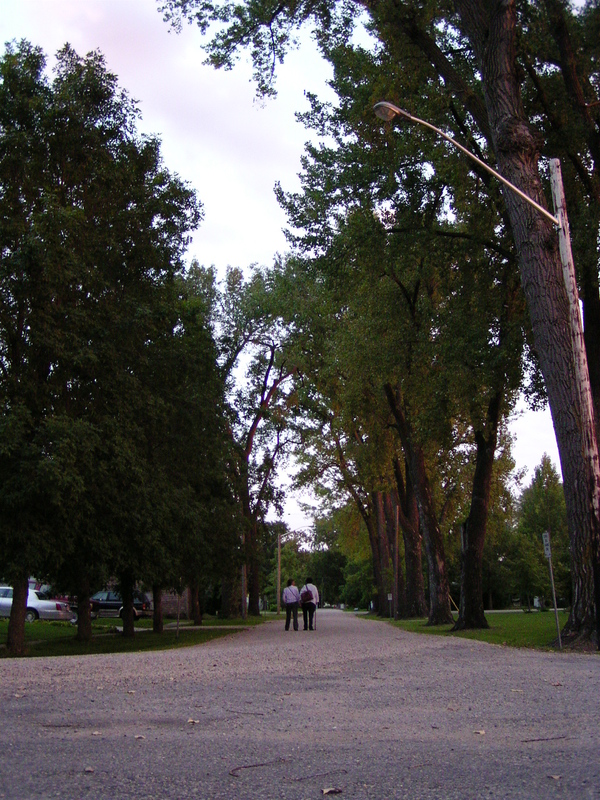 Gretna was established because it was situated at "Smuggler's Point", a place with natural tree coverage on the Pembina River. New Commercial/Industrial Building property incentive. Gretna a welcoming, family oriented community is located on the fertile agricultural lands of South-Central Manitoba. We are the southern most community in the Pembina Valley, right on the International border with the United States. Gretna is the home to the 470 seat Buhler Hall, an acoustically superior performance and recording venue. Gretna also proudly boasts the Mennonite Collegiate Institute, Peace Bell, Oakview Golf Course an d the Gretna Arena. Friendliness from the residents will become immediately apparent, even when walking our many tree lined streets. Young families are continuously drawn to Gretna from the outlying areas because of it's small town charm welcoming nature and affordable 'country' living. Several yearly events take place in Gretna such as the annual Hot Spot Festival and Winter Carnival. The century old "peace Bell" tolls every November 11th to mark Remembrance day ceremonies that draw attendance from all over. The N.W.M.P Cairn commemorates the 125th anniversary of the N.W.M.P and the re-enactment of their March West in 1999, located on the Trans Canada Trail. Generations of Families, Success and Business. But that is only the beginning. Once home to roaming Buffalo herds, the area around Gretna attracted people as far back as the early 1800's. Originally known as "Smuggler's Point", it's natural tree cover afforded early settlers and fur trappers a location where undeclared goods were smuggled over the border. Soon after establishing the 49th parallel as the International border, Gretna became an important customs centre and border town for both the Canadian and American governments. Gretna’s strategic demographic location raised the interest of the Canadian Pacific Rail Road which encouraged the creation of large grain elevator operations in the area. The Ogilvie Milling Company was one of the first and most prominent private companies in Gretna around the turn of the century. It is believed company founder William Ogilvie, originally from Scotland, named Gretna after Gretna Green in Scotland, where runaway couples were married by the blacksmith at his anvil. Gretna soon became a prominent border town. As businesses thrived and expanded, Gretna life in the early 1900’s was filled with promise and opportunity. As progress would have it, changes afforded Gretna no favours and the town began losing the grain milling industry responsible for it’s boom. Today, Gretna has stood the trials and tests of time. With the recent on going expansion in the Pembina Valley, it now serves a young demographic attracted to it’s beautiful surroundings, friendly outreach and community life that is safe for families.